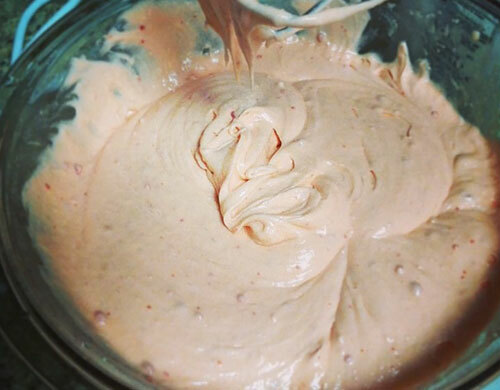 If you want to color your cake batter, adding fresh fruit puree to your batter is a good idea. 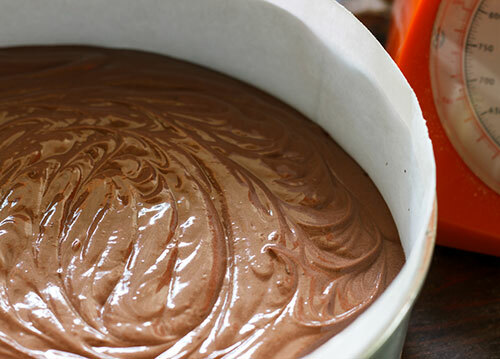 It will give your cake that little tint, and, trust me, that little will elevate your cake to a different level. Once you’ve made that finger-licking cake batter and poured it into your greased baking tin, drop it from about a foot onto the counter. This will break any lurking air bubbles and even out the batter completely. 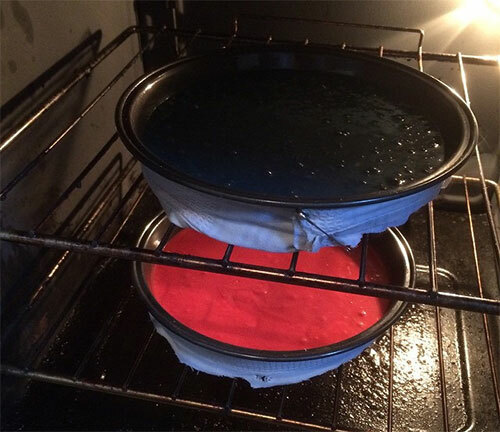 Wrapping the baking tin with a towel or baking strips, like the ones in the picture, will curb the cake from rising. You will have a perfect, flat cake, ideal for frosting. 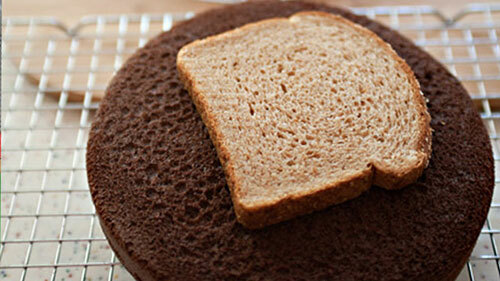 While your cakes are left out to cool, it is a good idea to leave a piece of bread over them. The bread will keep the cakes moist and prevent them from drying out. 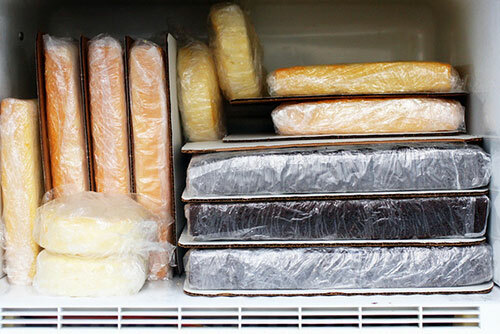 If you think you have too much to do on the big day, with decorating the place and organizing the event, you could bake the cakes ahead of time, and just wrap them up in cling film and pop them in the freezer. All you will have to do on the birthday is jazz them up! 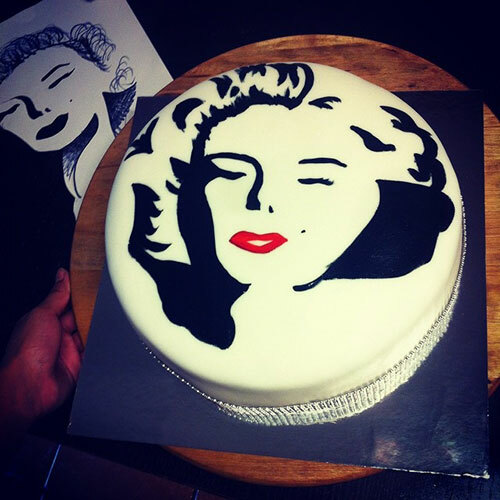 Speaking of jazzing up, you aren’t just confined to decorating your cake with frosting. You could do ombre layers with the base itself. It will be a big surprise once the birthday baby cuts it open. 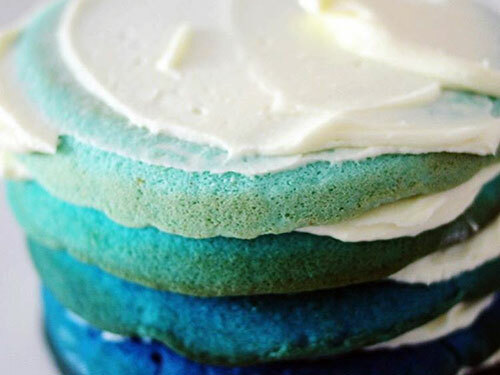 I would suggest you to keep the frosting simple, though, if you are attempting colored layers. 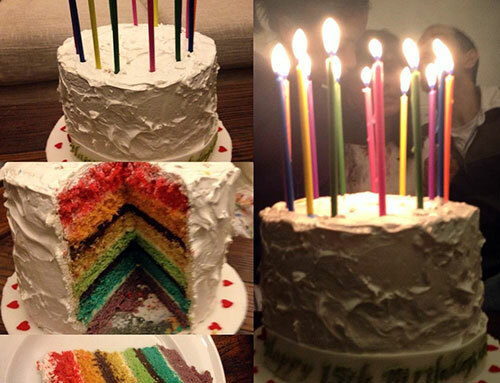 Or you could do the very trendy rainbow layers. It is sure to put a smile on your special one’s face. 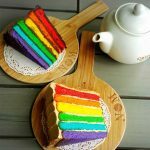 The rainbow layers go extremely well with white cream icing or even chocolate ganache frosting. So you have a few options if you opt for this one. You could also jazz up your batter by throwing in some funfetti. 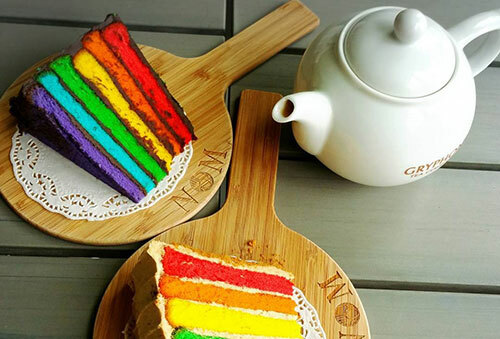 It will add the right dash of color to brighten up the cake. Plus, it is much easier than coloring each layer and will take a lesser amount of time too. 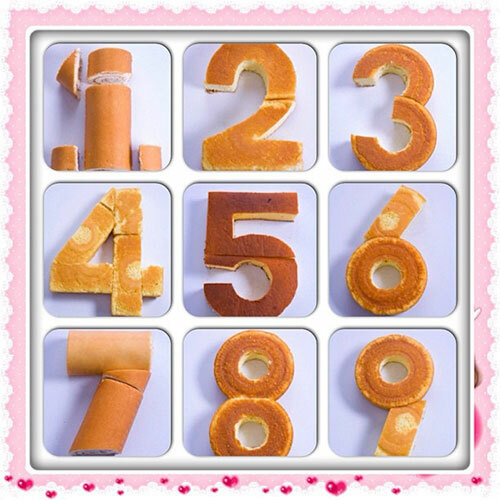 For three and thirty-three-year-olds, you could make the number cakes with great ease. All you need to do is put two Bundt cakes together for that perfect number three. 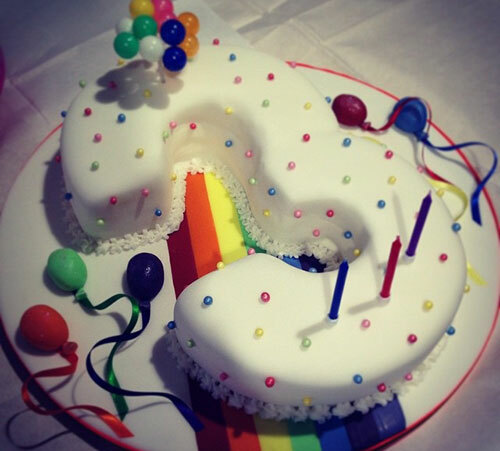 If you feel strongly about the number-shaped cakes, they are actually not too hard to achieve. Basic shapes, log cakes, and online tutorials will help you reach your goal for sure. 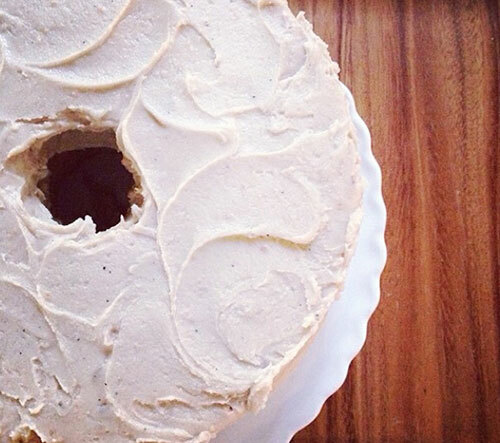 If you believe in keeping it simple and classy, you don’t need to color your frosting. But to give it an edge, you could brown your butter a bit before you add it to the sugar. 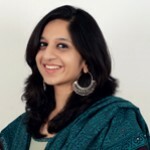 This will give it a pale sepia tint – the epitome of elegance! 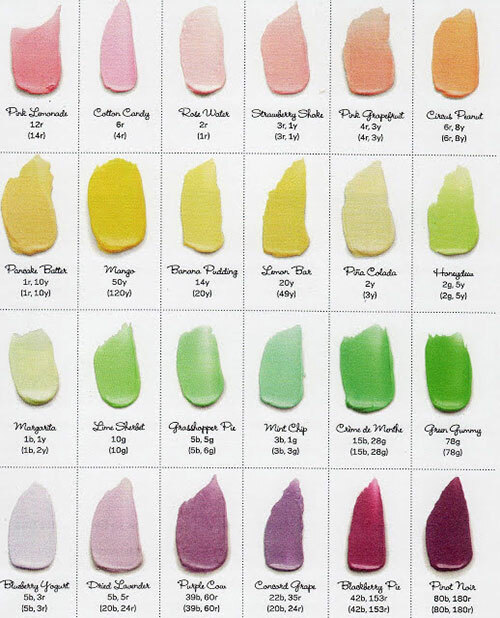 But, if color is your thing, this shade guide will give you instructions on how to blend different amounts of different colors to achieve the shade you want. Precision is the key! 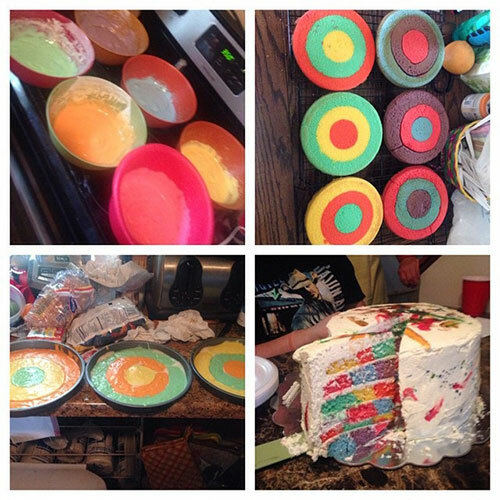 Just a little heads up – adding vanilla to your white frosting might cause the colors to change. 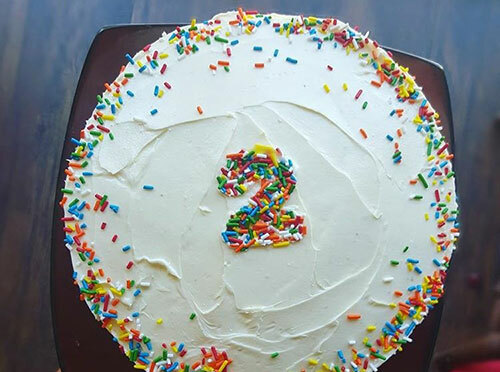 If you have never frosted a cake before, here is how you can do it. Just put lots of frosting on top of your cake, and pave your way down, pushing all the extra frosting as you move your way ahead. Not too difficult! If that seemed hard, you could drizzle your frosting over the cake and let it settle on its own. It is easy, but you need to make sure the frosting is a little runny so that it can meander well. 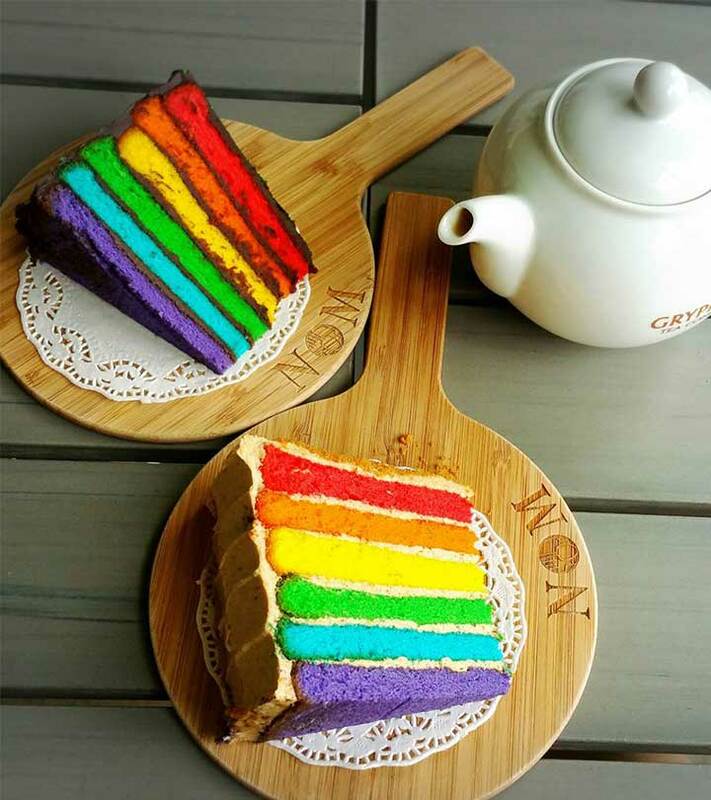 Different layers of color that blend into each other so well, or ombre as it is more popularly called, is sure one of the latest food trends. It might look complicated and difficult, but this video will show you just how simple it is. Don’t blame me if you get addicted to this one! 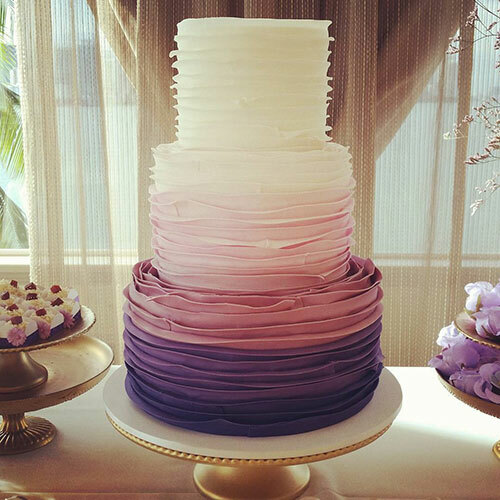 Fondant is lovely, and the way cakes have evolved, it is the fondant that makes these decadent delights a masterpiece. But it takes lots of patience and practice to mold shapes and achieve professional results. 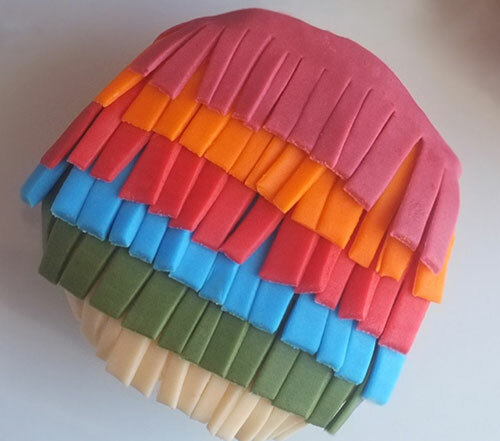 But if you want to work with a fondant, here is a very simple technique that you can’t go wrong with – the fondant fringes. They are going to make your cake look extremely attractive! All you need to do is make about four to five different colored fondants, depending on how you want to color your cake. Roll the fondants flat using a rolling pin. Then, using a ruler, cut out 12” X 1” strips of the fondants in each color. Note that these measurements are for a one kg round-shaped cake. Make cuts like fringes on each of these strips, and place these strips over the cake, one below the other. It is very easy, and once you get the hang of it, you can play around with the fringes. If you are the lazy kind, or you just can’t get the hang of frosting, you could try this one. Leaving out the sides, just frost each layer, making sure you jazz up the top a little. Quite classy actually! That brings me to the next idea. 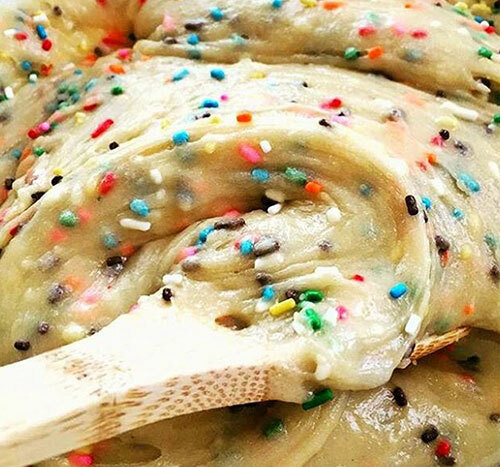 Remember, we spoke about adding funfetti in the cake batter. 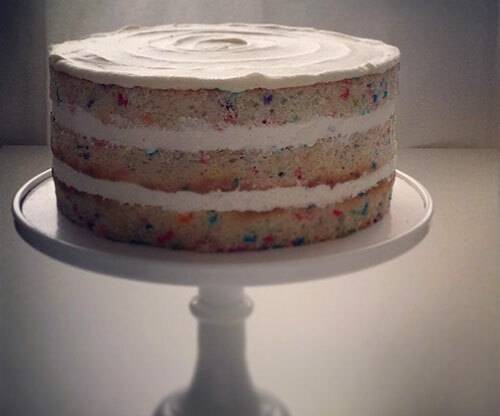 The no side frosting would work very well with the funfetti cake base. It’s all about the magic that little details can bring. 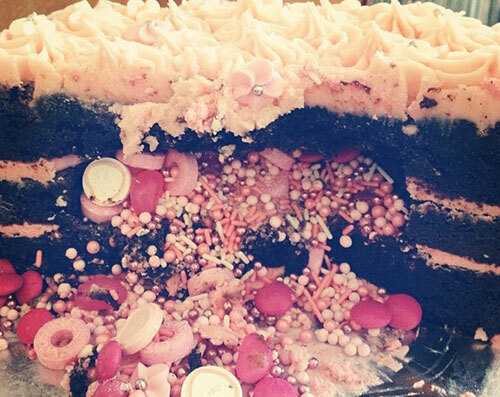 All it takes is a cookie cutter and a bottle of sprinkles to have fun with your birthday cake. 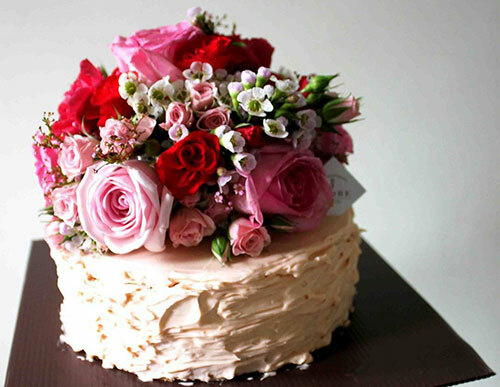 Whether it is a number (age) or a little heart, it is sure to make a gorgeous topping on your cake. Icing text on cakes is so old school. The latest banner topper is making waves. It is easy and so trendy. 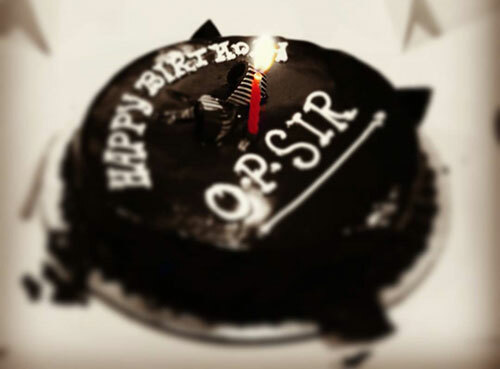 It is something you must consider doing on your next birthday cake. 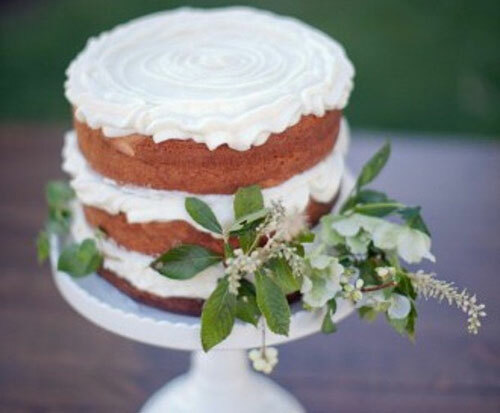 A simple frosting topped with some fresh flowers looks extremely pretty. If you are baking a birthday surprise for your mom, granny or even for your best friend, this is a very good idea. 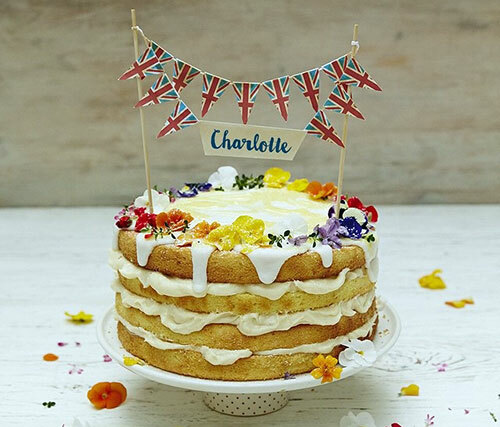 Just make sure you are aware of which flowers are edible. Fresh fruits also make a great choice of topping over a fresh cream topping. The fresh fruit topping looks great and tastes even better. The only thing you need to do is use the right flavors or else they might clash. This one can be really cool. You could cut out wax stencils and then sprinkle sparkly sugar over frosting cream or color over fondant cakes to make your cake cool and colorful. 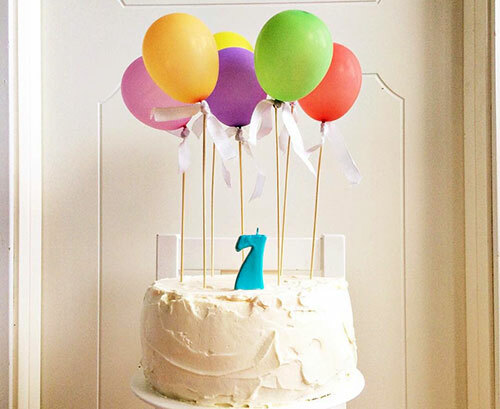 Tiny blown up balloons attached to skewers and stuck into the cake also look very sweet. 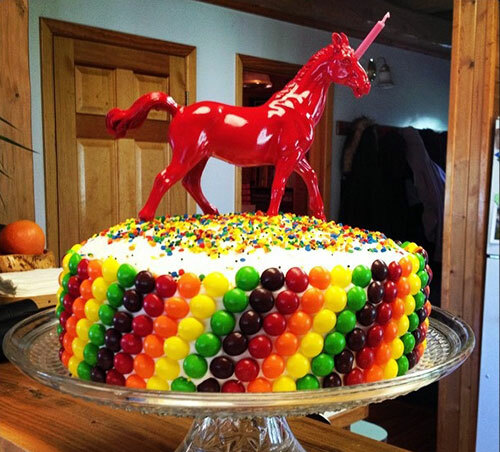 You could use M&M’s and Skittles to decorate your cake. They add the right amount of color and fun to your otherwise plain Jane cake. When you are out of all options, there is still some hope. 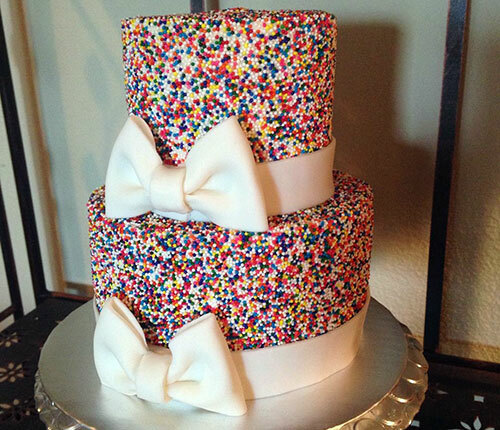 Just throw a whole lot of sprinkles on your frosted cake. It is surely going to look pretty as a picture. Of course, you have all those number candles that announce the age, but when you don’t want to, one candle will add the right amount of grace to that perfect birthday cake. 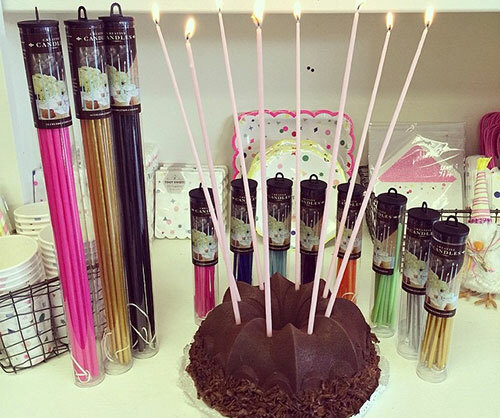 Tall candles add a little bit of oomph to the cake. 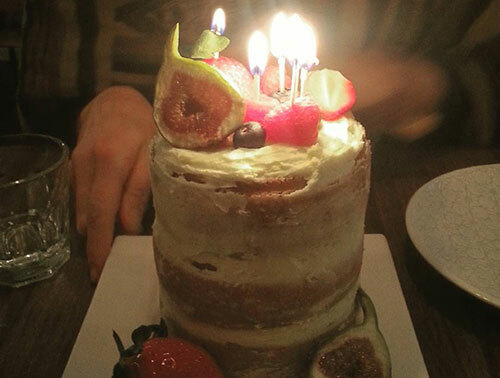 Then, there are the extra tall candles that add a lot of oomph to your humble birthday cake. Just make sure you are careful that nothing catches fire. 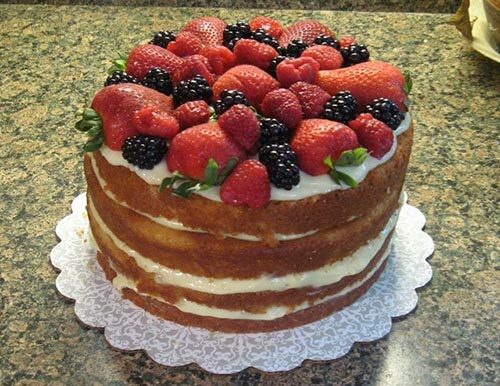 Sticking the candles into little berries and strategically placing them over your cake not only looks very pretty, but it also prevents all the wax from dropping on the cake. If your birthday person loves banana split, what is stopping you from putting one over your cake? Another trending idea – the chess board cake. The picture speaks for itself. Now you know how to do it. Go ahead! Get adventurous! You might want to take the unconventional route. 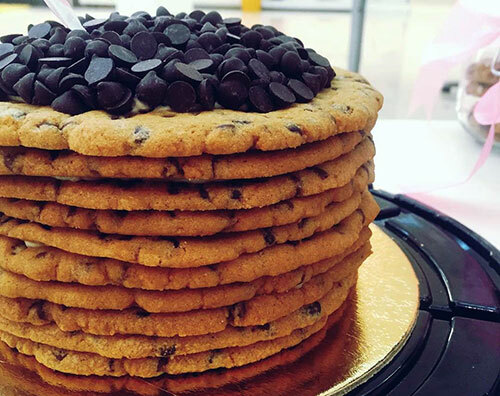 You could stack up some cookies and top them with some scrumptious dark chocolate. You could even slather some chocolate between the cookies. Total indulgence! 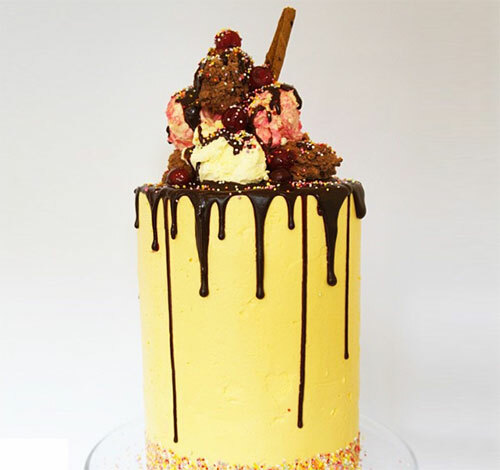 Talking about unconventional, you could also make a gelato cake. 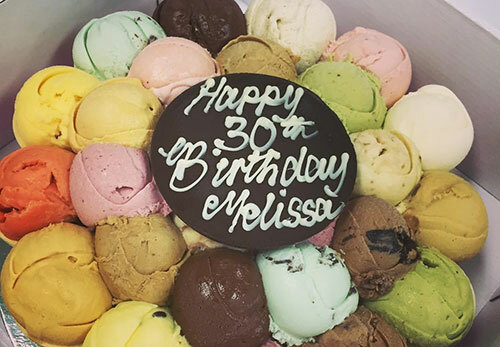 Just lay out some flat-bottomed cones and scoop some colorful gelato in each cone. Yummmmmy! 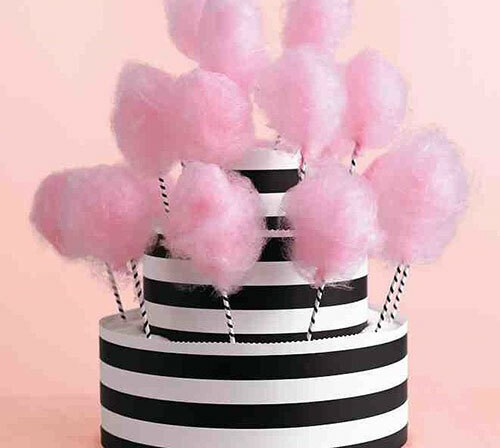 Have you considered sticking some cotton candy onto that snazzy cake? You should now! This might be a Mexican tradition, but who doesn’t love surprises? Stuffing that cake with goodies is not a bad idea at all! Like these ideas? Go ahead! Get baking! It’s time to make the best birthday cake ever!